Sorry it has been so long since I have posted. I’m really hoping to be much more active on my blog from now on. Here are my current story obsessions. I got a Kindle for Christmas from my amazing parents and I have to say that I am completely in love with it. 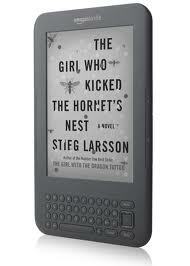 I always thought that I could never love an e-reader the way that I love how a book feels in your hand but I do! It is so much more convenient for everyday reading, not to mention lighter. The blogs are one of my favorite things about it. Right now I only follow the AP US News and AP Entertainment blogs but I love them both so much that I will more than likely be getting more. The fact that it’s not backlit is another huge bonus. I can read for hours with out my eyes feeling like they will fall out of my head. I am a Kindle convert! On the film front, I have now been to see The Black Swan twice and wouldn’t hesitate to see it again. Being both an adamant psycho-thriller fan and an ex-dancer, I knew that I would love this movie but I was unprepared as to how much I would love it. Natalie Portman’s performance was flawless. Her portrayal of Nina Sayers descent from sweet innocence into self-destruction was beautiful and tragic, exactly like the ballet the film revolves around. The dancing was also very impressive considering the actors did most of it themselves. It was a beautiful story beautifully told. 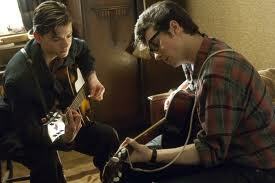 Also, Nowhere Boy is a film I recently saw that no true John Lennon fan can miss. It was the story of Lennon as a teen and the very beginnings of The Beatles. Aaron Johnson played Lennon carefully and authentically in the face of all the tragedy that was Lennon’s childhood. The film provided great insight on the origins of the music that is so close to our hearts.